If you remember about a month ago I came to visit "Miss Pfau" (you all know her as Mrs. Yollis) to ask her a few questions about being a teacher. Well, I just wanted to thank you all so much for asking such great questions and I finally have some free time in my busy schedule to visit your blog, as I promised. VERY COOL. I am extremely impressed at all your great ideas for Earth Day! One of my favorite ways to help the environment is by taking my own canvas bags to the supermarket to carry my groceries in. I really appreciate you reminding people to reduce, reuse, and recycle. Many people aren't doing that anymore, they are just throwing the bottles or bags on the ground and leaving them there. I'm from Mr. Miller's classroom in California. If I ever find bags or bottles on the ground I recycle them or throw them in a trash can. Do you do that there? If not, encourage people to do so! I love the post your class put up on the blog. I also use a lunch box instead of a paper bag. 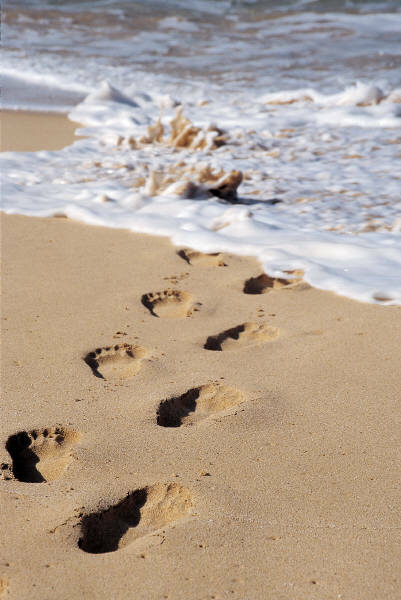 Earth Day is a very special day because it helps remind us to clean the earth. 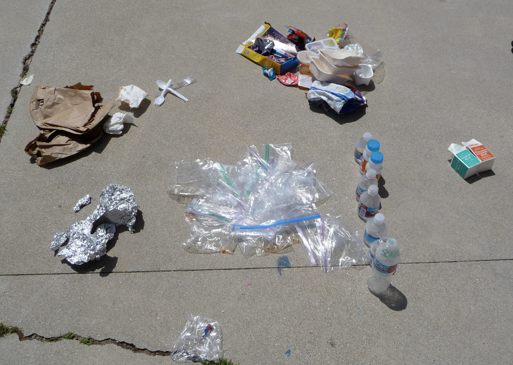 I tried to make Earth Day every day at home with your theme of recycle,reduce and reuse. As a matter of fact we have changed all our light fittings in our home to energy saving globles which helps the enviorment.When I go to the super market I trie to make sure I buy cleaning products which are chemical free and will not harm our water system.We have also just intalled a new water shower head which uses have the amount of water. Have made some change!! take care from your blogging from down under AA. my dad and I are going to make a compost bin for Earth day. Now I am going to teach you how to make a compost bin. Step 1. you need a bin. Step 2. you need newspaper. Step 3. get some soil. Step 4. get food scraps ie vegetables peelings,fruits, egg shells. Step 5. place everything in layers. Step 6. buy some worms. Step 7. put the worms on top and they will do the work for you. Of course we all remember you! Everyone enjoyed meeting you! Thanks for visiting our blog and for making it a 2-pointer! I love your idea of bringing canvas bags to the supermarket. That's something no one has mentioned yet. Come and visit again when you have time! Thanks for visiting our blog and for leaving such a thoughtful comment. We are really making an effort to reduce, reuse, and recycle. 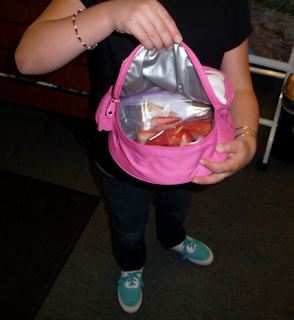 Already more students are using reusable containers for lunch. We just got a recycling bin in our classroom for paper and plastic. 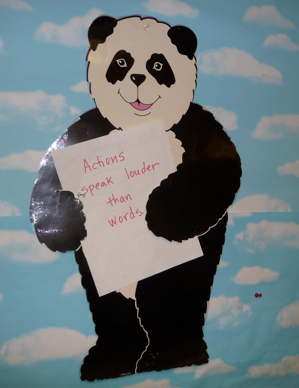 Is your class going paperless on Earth Day? Yes, Earth Day reminds us about how we are suppose to treat our planet. We are trying to change our habits every day. It is difficult sometimes, but we're determined to make a difference! You are really making some outstanding choices! We have those shower heads at our house. Speaking of showers, one strategy we talked about for saving water is to shut off the water in a shower while washing hair. Already students have said that they're trying that strategy at home! Thank you so much for those fabulous directions about how to create a compost bin at home. We will be very interested to hear how it is coming along! I think is really good for the environment and the world to reduce, reuse, and recycle. I have changed my behavior a lot. 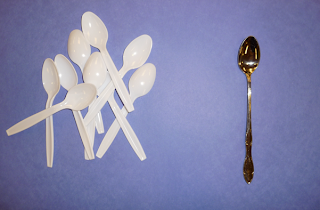 I have been using reusable water bottles, and been using a metal fork when I have pasta for lunch at school. 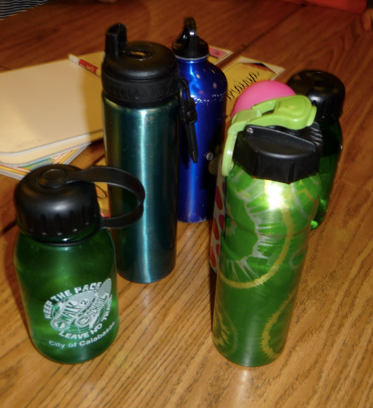 In that picture of all the reusable water bottles one of them was mine. I agree that the world would be a better place if we all took the time to reduce, reuse, or recycle. Good for you for changing your behavior already! I feel good about my choices too! 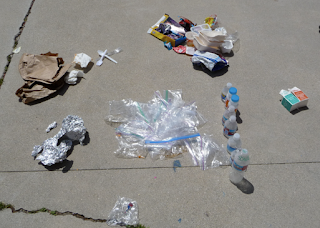 It will be interesting to see how much trash we create on Earth Day as compared to the trash we collected last Monday. I hope it is less! I think Earth Day is a good day to think of how to reduce, reuse, and recycle, and to think about our environment. We should plant some plants as well. 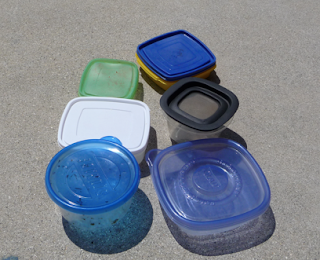 I am going to bring a reusable container on Earth Day. Earth Day is a very important day remember how important our planet is. We should all do our part. I will reuse paper in my office for copying, which will help reduce our need for cutting down trees. Earth Day is a great way to reduce, reuse, and recycle. I already started to change my behavior by bringing reusable water bottles, and I am bringing containers instead of bags. Wow! Thats a lot of trash. It's nice to know how much trash there is from our class. 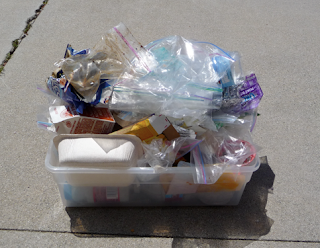 I think it is great that people are using reusable containers to save plastics, water, cardboards, and paper. On Earth Day during my lunch I won't throw anything away. That is how much reusable containers I will bring to school. What are you going to do on Earth Day? I bring reusable containers and bottles every day. I never knew that it would be so much fun saving the planet! Now you're saving the planet by using the same metal spoon everyday instead of bringing in new plastic spoons everyday. That was a smart idea! I am so happy that our class is collecting trash for Earth Day! Also it's a good idea to not waste paper because if we have no trees, we have no oxygen! Great job, you guys! We have to stop taking for granted that all the trash we makes really just "goes away" somewhere. I switched to metal water bottles and real silverware too. Food tastes so much better when you eat it with real silverware! Keep up the good work! I think you are right. We need to improve our habit of wasting paper. We got recycle and reduce. We got to learn to love the trees and not kill them.We live from on trees so do not kill them. I'm a sixth grader from Lawndale,CA, and I think that your class of third graders is very advanced. They are very smart and must be the G.A.T.E class.I really enjoyed this post about Earth Day! It was very informative, and fun. This post inspired me to change and try to go green as possible. I want my school district to change the Styrofoam lunch trays they use. I want them to use lunch trays from recycled materials because Styrofoam is bad for the environment since it's non-recyclable, and it has some chemicals that aren't good for you. I hope the district listens so then we can save the environment. Thank-you for the post because it really opened my eyes. I really like the pictures that you have on your blog! I also like the spinning globs on your blog. what I really like about your blog is your revolving earth. What I also like about your blog is that you are reminding people to recycle. 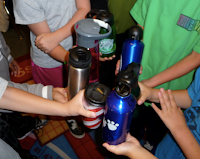 Hi my avatar name is Helena.I go to Mr.Miller's classroom in California.I lke it when people remind other people about redusing,reusing,and recycling.It will make a big difference if people recycled.Whenever I see bottles and cans on the ground I will recycle them. Alex again. Wow! You guys are really making a difference! I wish we could get the whole world as involved as you guys are. Way to go on the hard work. I have been trying hard to recycle and to not waste water while I brush my teeth. Keep up the hard work! Well done, nice clear photographic images and all self explanatory. Fantastic job students on changing your environmental carbon footprint! !Great job.